and it's quite dark here so my pictures aren't coming out well. As I mentioned in my saying bye to makeup post , I'm really into skincare. I love to research anything skincare related. During summer I read a lot about chemical exfoliants (I'll talk about them properly in another post) and that's when I learned about glycolic acid and how it helps with hyper-pigmentation. 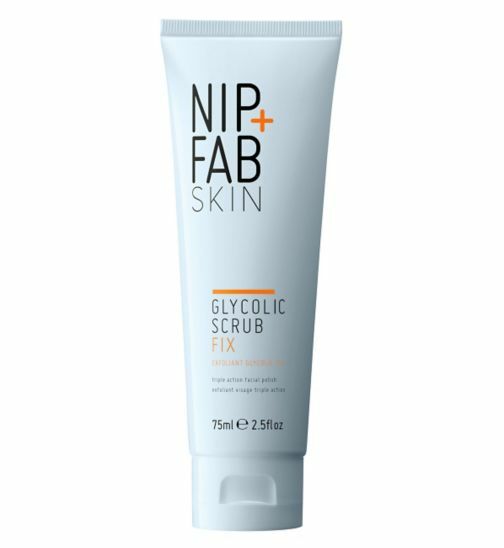 I eagerly started to search for skincare products that contained glycolic acid and I came across this Nip + Fab scrub on the Boots website. I saw that it contained glycolic acid (yay!) and also salicyclic acid (double yay!) . It was also on sale, the price had been slashed by 50%. I was sold right there and then. I ordered it immediately. I eagerly started using my new scrub. And though it made my skin smooth,I wasn't seeing the results I was expecting. I get frequent emails from a skincare website that I'm subscribed to. 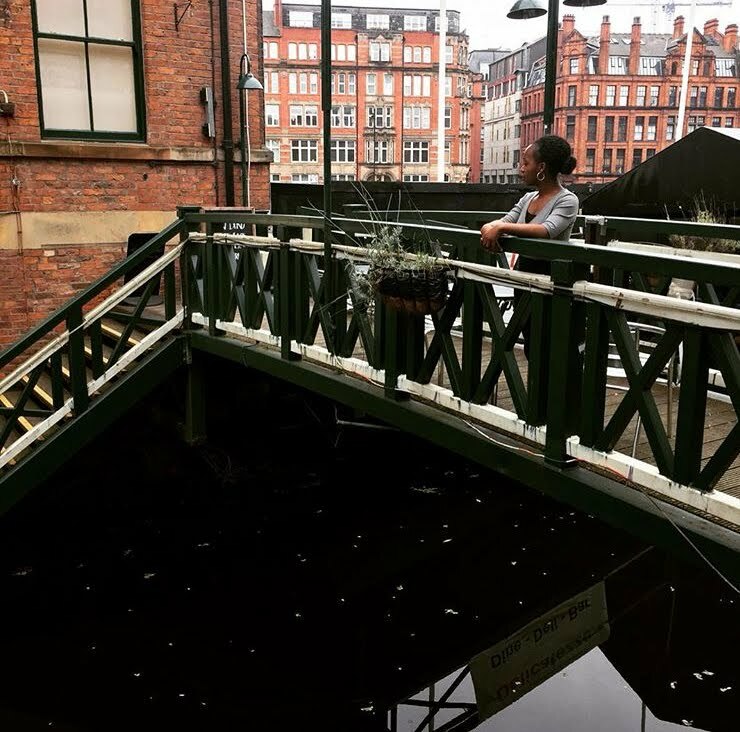 A few weeks after getting the scrub, I got an email from them talking about exfoliation. According to the email, products containing glycolic acid and AHAs in general work better when left on the skin for longer periods of time. Which is why dermatologists advice you to get a serum or lotion instead of facial washes and scrubs as the latter don't stay so long on your face. I finally understood why I wasn't getting the miraculous results I was expecting. I'm pretty sure that if I had been calm, I wouldn't have bought the scrub so impulsively. Saw this quote on Instagram and I love it. The same thing applies with our everyday lives. Sometimes we tend to rush through things. Be it making decisions, in our jobs, eating ( I'm guilty of this lol) and so on. But I've discovered that doing things calmly is the best. It's just like trying to use liquid liner when you're in a rush. It barely turns out good (unless you're a pro) right? But when you're calm and you take your time, chances are it'll turn out right. So this week, let's all strive to do things with a calm spirit. To take our time when doing things. It'll save us a lot of regret. As my mum always says,"What is chasing you?" Back to the scrub itself. It's a nice scrub if you're looking for a regular exfoliator. It has a very lovely scent and the micro beads are very gentle on my skin. The glycolic acid concentration is too low though so if you're buying it because of that, I wouldn't recommend it. Hmm. Patience. I think acne thought me that too. This is an interesting post, I quite like it. Your mum is so right. I use an exfoliating toner, and it's amazing my skin looks amazing. With skincare you have to persevere. This is such a great post and I like how you talked about the scrub story. Thanks for the motivation, we all need it. Have a great week! I love that quote by St Francis of Sales. It just sums up everything. I don't really pay attention to skincare coz I've never had issues with pimples or any skin related problem. But I do well to use a scrub once in a while and that's it.lol. It's amazing where we draw inspiration and lessons from. Thanks for stopping by my blog. Your blog is interesting I must say. I love how you got a life lesson from a beauty product. They are definitely a few things I need to take my time with.